Queenstown is renowned as New Zealand’s most famous adventure playground; but if you’re on the hunt for the real playgrounds of Queenstown, then look no further than here. Recently opened in October, this million dollar playground, located on Queenstown’s waterfront, is the perfect location to watch the Big Yellows zoom and spin around the bay. The new slides are one of the popular features of the upgrade, and visitors and locals will be pleased to know that the rope swing that has entertained children for years still remains. Parents – grab yourself a coffee from Yonder or an ice-cream from Patagonia, sit-back, relax and watch your little one’s monkey around in what we think, is the most scenic playground in the world. To continue a fun-filled afternoon, why not head down to the Underwater Observatory afterwards, and watch the massive trout, slinky eels and diving ducks. Located next to The Hayes Café; this is the perfect location to go grab a coffee and let the kiddies play. If you’re heading out for food, there’s even a mini playground at the café to keep them entertained whilst you wait. Lake Hayes Estate is where you’ll find all the local friendly families hanging out. The kids will really be spoilt for choice here. There’s a large playground, sandpit, bike trails, flying fox, mini pump track, sports field and artificial turf. For the grown-ups you can put on your own BBQ or head to The Hayes Café & Bar opposite the park. Jack’s Point is a little bit out of the way, but is so worth the drive out there in itself. There’s an impressive flying fox, that even the big kids and parents will love and a good-sized playground. Here you’ll also find tennis courts, an 18-hole golf course and the clubhouse restaurant open daily for breakfast and lunch. 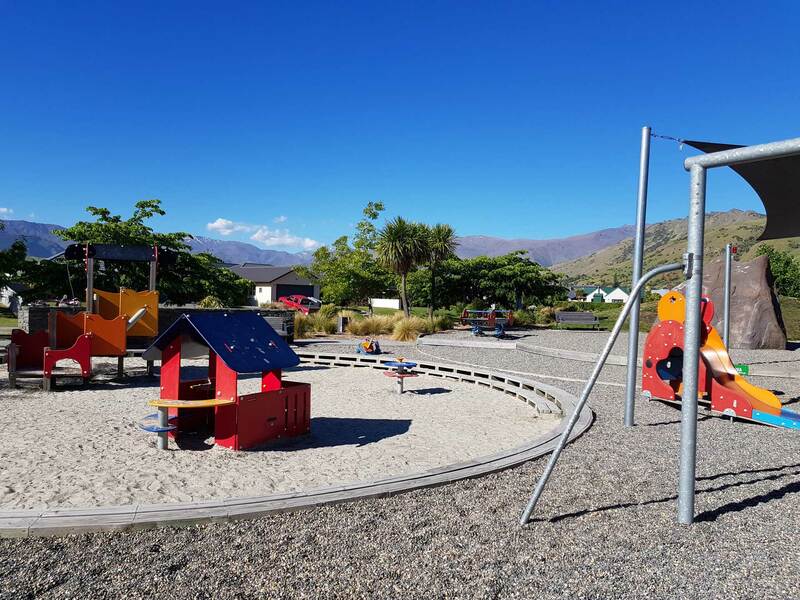 Just a two minute drive from Jacks Point, you will find all the local families enjoying Queenstown’s newest playground at Hanleys Farm (Queenstown’s latest subdivision), which recently opened in August 2018. Using mainly wooden materials, this park has an outstanding selection of play equipment and sits beautifully amongst the natural environment and mountain landscapes. Here you will find a massive slide and baby slide, pump track, a circle of swings, trampolines, sandpit, climbing rocks, covered BBQ area and so much more. 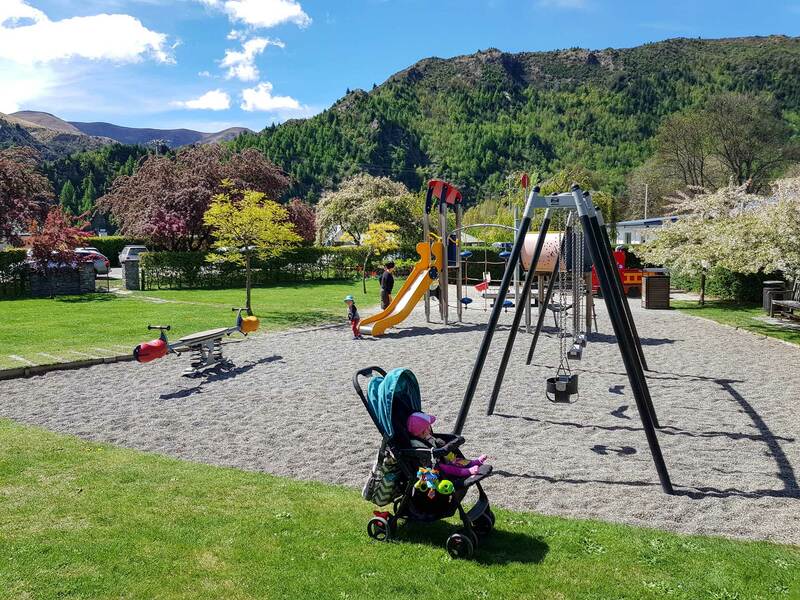 If you’re heading out to Arrowtown for a day trip to visit the historic mining village, there’s a small park just a short walk away from the main street (Buckingham Street). In the summer months, there’s also an outdoor pool, so don’t forget their swimming togs. For those rainy days, this is the best indoor playground for the kiddies. Suitable for children aged 0-11 years, you can let the kids run and play whilst you grab and enjoy a coffee from their full serviced café. There’s a toddler zone for the under 5’s and a main zone for 5-11 year olds. At Chipmunks you’ll find slides, ramps, brides, ball pits, obstacles and so much more. There’s even a baby zone for those under twos with free entry for mums and bubs under the age of one. 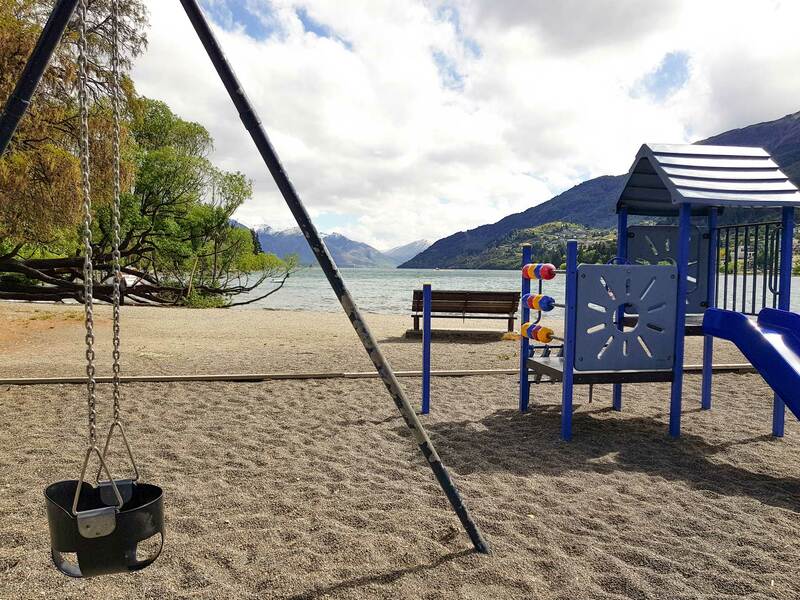 For a comprehensive list of all playgrounds is the Queenstown-lakes region feel free to read more here.